In the metals field, she was admired for her beautiful colored enamel works and for her jewelry which was a tranquil contemporary statement of the Scandinavian esthetic. As she explored the special qualities of silver, she developed a means of expression rich in traditional and humanistic roots. Building upon this, her work became sophisticated and yet remained sensitive. 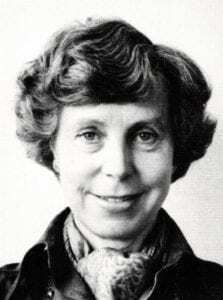 Saara received her degree in interior design from the Central School of Industrial Design in Helsinki in the mid-1940s and ran her own freelance interior design business until 1949. Through the 50s, she worked as a designer for a variety of firms, including Taito and Wartsilä/ Arabia. During this time she also designed silver for the Ossian Hopea firm in Porvoo. In 1960 she emigrated to the United States where she worked as a freelance silver designer. She later returned to her native country. Among her many awards and exhibitions were two silver medals in the Milan Triennale of 1954 and 57. She represented her country in the important World Crafts Council exhibition “In Praise of Hands” in Toronto in 1974 and was included in the comprehensive exhibition “Scandinavian Modern 1880-1980” at the Cooper-Hewitt Museum in New York in 1982. Her life work was celebrated by the town of Porvoo in 1980 with an exhibition at the local museum. In 1981 she received the Porvoo Cultural Award and the Finland State Prize for Arts and Crafts. She also established with her husband the Hopea/Untracht Fund, which awards an annual scholarship to a young artist. With her husband, Oppi Untracht, she shared a deep appreciation and understanding of the myriad forms of Indian metalwork and jewelry. As they traveled together they collected both objects and photographs, contributing to a wide and embracing view of the meaning of Indian metalwork. Through Oppi’s scholarly articles and publications this knowledge has been distilled and further shared, a testament to those who care about the human needs of expression and creativity. Saara and Oppi also shared the warmth of their home in Finland with many visiting craftsmen. As makers of art and craft we have lost a gentle and intelligent spirit, whose designs were as quietly joyful as she was. As a friend and as an artist Saara will be sadly missed.